I did my darndest to come back over to the Light Side. No one can accuse me of not giving it my best shot. To a typical German car enthusiast, for reasons hidden in the annals of the history of automotive fandom, BMW represent “the Dark Side.” Conversely, their counterparts in Ingolstadt—Audi—represent the “the Light Side.” No idea how the appellations came about, or for that matter, where the third pillar of the German triumvirate, Mercedes, falls along that spectrum (Gray side? Shadow side?). With that in mind, and to continue the metaphor, I’d been an avid disciple of the Light Side for years. Audi has always been a champion of lovely, understated, beautifully-executed car design, so as a designer, they’d always had a place in my heart that way. Also, they represented the “alternative” to the Big Two of Mercedes and BMW, and I kind of liked rooting for the underdog. 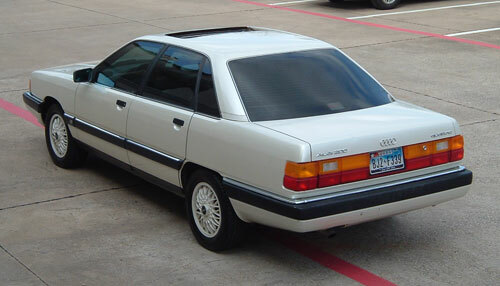 I owned an ’86 Audi 4000 quattro for several years, and while the car did have its shortcomings, overall, it was very good to me, and something handsome, unique and fun to drive. It was with some apprehension, then, that in the summer of ’09, I descended into the Dark Side with my first BMW purchase, the ’86 635CSi. It was kind of a rushed purchase decision, something which did nothing to quell the feeling that I wasn’t quite sure what I was in for. Any car buff knows BMW makes excellent cars, but the “BMW sea” is a big one, and can be intimidating to wade into. The car was superb in all respects. I owned it for 8 months and enjoyed every minute of my time with it. 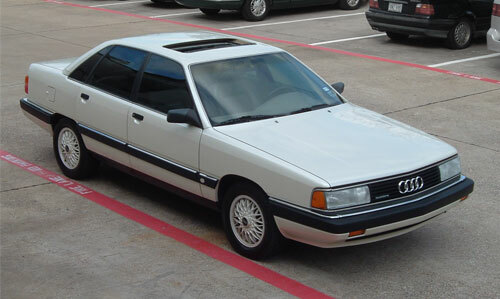 It was fun to drive, hustled beautifully for such a big machine, the big M30 six made a wonderful sound as it spooled toward redline, and the car had more character in one fender crease than a post-’00 car has in the entirety of its sheetmetal. But there were some issues. The back seats were cumbersome to get into, a problem as our kids were getting older and bigger. I always felt guilty relegating such an obvious classic to daily driver duty, knowing that I’d probably never be able to give it the care and feeding it deserved (and we didn’t have the funds or space at that point to buy a third car to relieve the BMW of its daily responsibilities). The biggest problem for me, though, was the potential for rust. BMW’s rustproofing was notoriously terrible until the mid/late ’80s, and I was on pins and needles every time I had to drive the car in the snow, slush, or even rain, worried that I was ruining a pristine rust-free example of the type. I hemmed and hawed for several months before finally coming to a decision to let the car go, in favor of something with four doors, better suited to daily duty, and with better rustproofing. Of course, I still had some requirements: The car needed to have a stickshift, if at all possible, be rear- or all-wheel-drive, and be somewhat interesting. 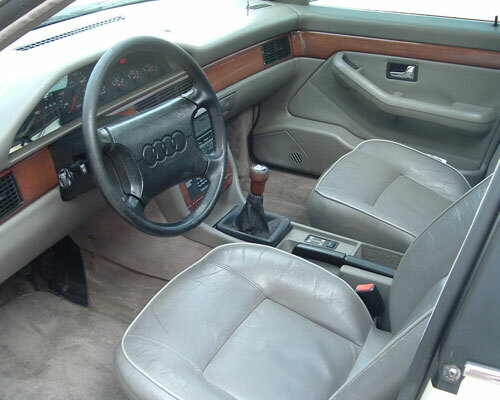 Tidy, fleet-looking, well-proportioned looks, a great interior, stickshift, AWD and Audi’s 5-cyl with a turbo attached. All the goodies were there. My wife hates white cars, but I had sort of talked her into the idea, given the cars’ advantages for our family. So why didn’t the trades work out? One would-be trader backed out, and the other’s car just didn’t measure up to my BMW in terms of value; it needed some suspension work, the headliner was sagging, and the engine bay and undercarriage weren’t well-kept. So I never could bring myself to commit to a trade. Fortunately, in the midst of my negotiations, my current car popped up for sale, and I decided to purchase it instead. It fits all my requirements except, I’m sad to say, being somewhat interesting. For me, in spite of the fact that my BMW E34 probably beats the pants off the Audi dynamically, is stickshift, RWD and all the rest, it just doesn’t have that pull, that cachet… It’s the obvious choice, the mainstream choice, the boring arena rocker when you’d rather listen to the interesting indie band. I don’t want it to sound like I’m complaining about my current ride; I’m not—it’s a brilliant car. But one day, I would like to get my hands on a big Audi sedan, and return to the Light Side.